See the Mac or Windows sections for installation tips and workarounds if you can’t find a disk image in the ‘Obtaining software’ section below. The Mac section also has details about installing on a Case Sensitive file system (very few Macs use this, and you would know). Canon’s software for their EOS cameras is quite useful, and there are regular updates available, but the problem has always been that they are only updates – you need an original version of the EOS software installed, before they will install. Canon’s policy isn’t a problem, unless you’ve lost your CD, just bought a second hand camera with no CD, or out on a job and left your CD back in the office …or are trying to install on a machine without an optical drive. It’s important to note that you only need to have one bit of Canon software installed and then you can use any other updaters quite normally. The tips here work with Canon software for their range of compact cameras too. You may find that a whole disk image is available – this is easiest to use. It just installs. Select ‘EOS (SLR) Camera Systems’ then ‘Digital EOS Cameras’ and appropriate camera model. Remember that the software is often not specific to a particular camera, so if there is nothing for your model, look for another one. If you have no previous version of the software and can only find an updater, you will need to cheat somewhat to install it. The software is not locked as such, but you could think of the process below as ‘unlocking Canon installer software’. Please don’t call us for disks – We can’t directly supply software! Updates/disk images for your camera can be downloaded from Canon sites. You need to download the software before you can continue with the installation process. First of all, you might be able to find an images of the install disk. This varies with Canon site around the world, so for example, in September 2014, the Canon 6D page on their US site has two versions of the Disk. V29.0A and V29.1A. The EOS 1DX II page (Apr 2018) has V32.9A – note that this software covers ALL supported cameras. Remember that you only need install one bit of software from the disk to enable updaters to work. Just how well this works has varied in the past, but starting with a disk image is usually the easiest place to begin. You may need your camera serial number (I used a 5D3 serial found on the net , since our EOS 1Ds mk3 serial number didn’t work). What if you need older software, such as for an EOS 5D or 1Ds ? Once again you may need a serial number, since the s/n for our old EOS 1Ds was not recognised. If for some reason, you’ve only got an updater and can’t get a disk image, then you need to look at using the updater and fooling it, through a simple registry edit. Windows PC registry modification is not without risks – this is a simple process, but you do this at your own risk. The updater will only update software if it was already installed – it can be fooled. 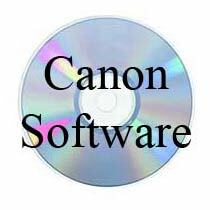 Note that once you have installed one bit of Canon software following these methods, you will be able to use future Canon software updaters without going to all this trouble. Since the updaters contain full versions of the software, it’s possible to convince the installer that the software is already installed by adding appropriate hkeys to your windows registry. Note that the items you need to enter depends on the version of windows you are using – do read right through the information below to make sure what you are doing is clear. Use the same process with the data further down the page for whatever system you are using. Note that you only need the entries for the software you want to install, but there’s no problem setting up everything. You’ll be prompted to see if you wish to add this info into the Registry. When the update software runs, it will look for the ‘keys’ (those HKEY bits). When it finds the correct one it will assume that you already had the software installed at some point and will go ahead and install the update (actually a new full version of the software). You can now install any further software update, without having the original installed, or going through this process. I’m told by one user (thanks) that the version of the text that worked for them was the one below, however several others have said that the one above works for win 7. So, I’d try the top one first. If someone clould clarify this, it would be of great help, we have no Win PCs here to test. Only for older software packages. Run the Install.exe you find in that folder and the program should get installed with no problems. Includes Canon Windows 7 compatability info for printers and scanners too. This varies with Canon site around the world, so for example, in September 2014, the Canon 6D page on their US site had two versions of the Disk. V29.0A and V29.1A. Look for software for your camera, although I should note that the disk image is the same for all cameras. Looking on the Canon.co.uk site (Oct 2017) the disk images had gone for newer versions of OS X, but I noticed that some software was showing up as full versions. You may need your camera serial number (I used a 5D3 serial found on the net , since our EOS 1Ds3 serial number didn’t work). If you don’t see a CD disk image – try setting your Operating system back to 10.7 or 10.6 for an older install disk image. 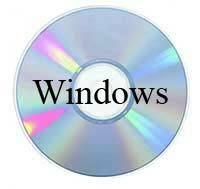 Remember that you only need install one bit of software from the CD for subsequent (newer) updates to install. 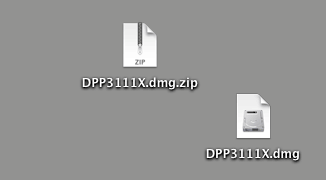 There is a DPP V1 file that you can download: http://web.canon.jp/imaging/sdl/data/dpp100-e.hqx. This seems to be a full install of DPP – not an update. If for some reason, you’ve only got an updater and can’t get a disk image, then you need to look at using the updater and fooling it. There is no Windows type registry to edit as such in Mac OS X. There are a number of techniques for installing the software if you’ve no CD, but they do vary as Canon seems to change the install process every so often. Some Canon sites do have a CD image to download but the links change, so you may need to do a bit of hunting around, or use the process below. Remember that you only need have one bit of the Canon software installed, to use the updaters (more info). 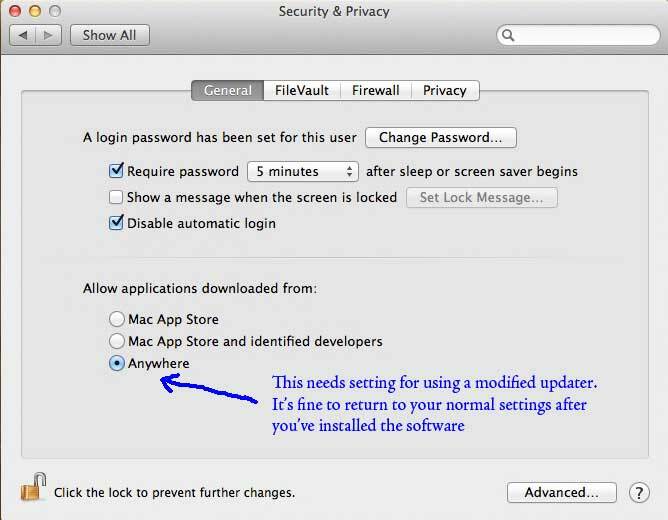 Background: Mountain Lion’s Gatekeeper feature recognizes that the updater app has been altered by virtue of trashing the “info.datx” file. The system generates a dialog box that gives no choice but to trash the entire app, thus preventing installation. To get around this, you have to disable Gatekeeper in your System Preferences. Thanks to Ben for sending this 10.8 info and the screen shot below. I’m also hearing of other general install problems with 10.8 and Canon software – please let me know if this works for you, or you still have problems? The installer looks for previously installed Canon software (any of the Canon software will do, so you only need do this trick once). For the latest DPP, you will need a slightly different approach which is covered further down the page. It’s probably best to read right through from here, and see what you need. 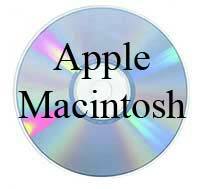 Note: If you are installing on a very old Mac, there are some alternative approaches that worked on old software described in some of the earlier techniques below. Do read through the process here fully to appreciate what is going on, before proceeding. You need to download the appropriate files from Canon – any file will need the minor alteration applying before you install, if there is no other Canon software in place. You need to modify the contents of the UpdateInstaller file, for it to run as an installer, without checking for old software first. Right click on the UpdateInstaller. To see what’s inside it pick ‘Show package Contents’. You need to navigate to Contents/Resources and find the SDI.bundle file. Right click on the SDI.bundle and ‘Show Package Contents’ again. A new window opens up. This is the file that stops you installing the software without a previous version installed. Remember that you need to be working on a copy – you can’t delete it in the original disk image. Close the two windows and doubleclick the UpdateInstaller app. The software should now install normally! Note that once you have installed the software, you will be able to use future updaters and installers without going to all this trouble. If you’ve found this article of interest, you can see the latest of Keith’s hundreds of free photography articles/reviews on the ‘Articles and Reviews’ page. Canon have changed the contents of the Mac installer, so that the original workaround above will no longer work with the latest updater for DPP 3.11.26. Note that not all software requires this updated technique – EOS Utility, for example, currently needs to be installed with the earlier method. If you open a copy (as described below) of the new type of installer, you will see an ‘info.datx’ file – if there is no ‘info.datx’ file, then you need to use the earlier approach. This may change with new releases of the software. In DPP 3.11.26, the ‘info.plist’ file to delete (in the original technique) no longer exists. You can of course use an older version of the installer to install the latest version of DPP, Then you use a newer updater, which should work fine. Such ‘OK’ versions include DPP 3.11.1 and 3.11.4, which can still be obtained from Canon sites. EOS Utility pre 2.12 also works with the old approach. Remember that you only need one of the bits of Canon software installed to use any of the updaters with no modifications. I was able to download this from the Canon UK EOS 5D page. You need to go to the Downloads tab and select ‘Software’ – there is the latest DPP listed, but if you scroll down there is an earlier version 3.11.1. However if you copy the installer from the disk image to your deskop, as in the process below, and look at its contents, there is a new file in this latest installer that you can delete to make an installable version of the updater. Don’t worry what all these files do – they just make the installer app work. Open the installer disk image – a window appears with the installer in it. I’m told (thanks John) that the installer may auto-run after you reboot your Mac. Just click next a few times if this happens. The software is already installed, so nothing new will get installed at this time. 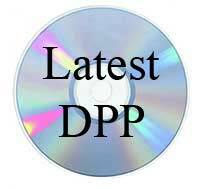 You now have a full version of DPP installed. Future updates and any other Canon software should just install normally, without the need for any of these procedures. If you deactivated gatekeeper under OSX 10.8 for the install, then go back and reset it. If you’re not sure about doing this, I’ve tried to make the instructions as clear as possible – read through everything and get an idea for what it is you are doing. It’s quite a simple procedure, and only needs doing the once. As ever, if you can’t follow what’s here, let me know and I’ll try and make things clear. Copy EOS Updater to Desktop, Right-click, “Show Package Contents”. You can actually change the “update” to an “installer” without having to create fake apps. Now double click the modified application and it should install without any issues. 2008 We were sent details (thanks) of how to modify an existing application on your disk, to fool the updater. The example involves EOS utility – do read the comments at the end of the article. It’s been suggested to us that you can use Automator to create an empty ‘App’ and call it the file name you want, such as “EOS File Viewer” and then edit the info.plist file. 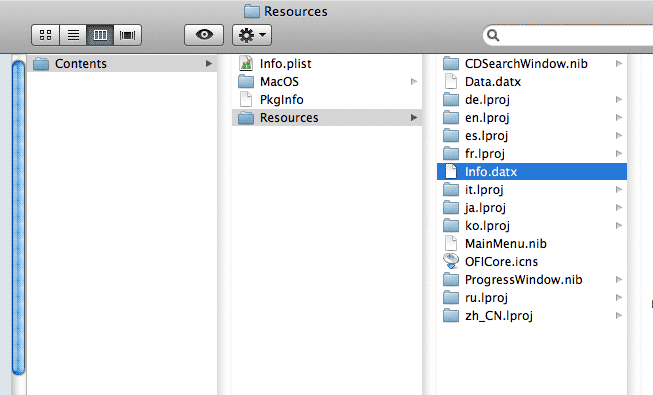 Case sensitive file system on Mac OSX? Since none of our default OSX systems have this type of filesystem, I’d not seen it. However we’ve kindly been sent this suggested workaround [Thanks Kristian]. 10. DON’T CLOSE the app now! While installing the Canon Software in a virtual Mac (VMware) using case-insensitive filesystem and then copying the Applications over to my (case sensitive) Mac I noticed DPP is not able to download lens profiles anymore. After some fiddling I noticed that the Canon Updater accesses /Tmp instead of /tmp. – Newly supported EOS D2000 *, EOS D6000 *, EOS D30, EOS D60, EOS 10D, EOS Kiss Digital / EOS Digital REBEL / EOS 300D Digital. – Added Partial adjustments functions. – Supports EOS Kiss M / EOS M50, EOS REBEL T100 / EOS 4000D / EOS 3000D, EOS Kiss X90 / EOS REBEL T7 / EOS 2000D / EOS 1500D. Supports customisation on the Preview Properties Display. Adds a function for reducing colour moiré. Stability of the connectivity has been improved. – Newly supported PowerShot G9 X Mark II, EOS-1Ds Mark II, EOS-1D Mark II N, EOS-1D Mark II, EOS 5D, EOS 40D, EOS 30D, EOS 20Da, EOS 20D, EOS Kiss Digital X / EOS DIGITAL REBEL XTi / EOS 400D DIGITAL, EOS Kiss Digital N / EOS DIGITAL REBEL XT / EOS 350D DIGITAL, PowerShot G15, PowerShot S110, PowerShot S100, and PowerShot S100V. – Supports EF70-300mm f/4-5.6 IS II USM. – Improves accuracy of the lens data of Digital Lens Optimiser for EF50mm f/2.5 Compact Macro, EF24-85mm f/3.5-4.5 USM, EF-S60mm f/2.8 Macro USM. – Supports EOS 5D Mark IV. – Supports EF-M28mm f/3.5 Macro IS STM. Newly supported PowerShot G7 X Mark II, EOS-1D X Mark II, EOS Kiss X80 / EOS REBEL T6 / EOS 1300D, EOS 80D, EOS Kiss X4 / EOS REBLE T2i / EOS 550D, EOS Kiss X3 / EOS REBEL T1i / EOS 500D, EOS Kiss X2 / EOS DIGITAL REBEL XSi / EOS 450D, EOS Kiss F / EOS DIGITAL REBEL XS / EOS 1000D, EOS 50D, EOS-1Ds Mark III, EOS-1D Mark III, PowerShot G16, PowerShot S120, PowerShot G1 X. Supports EF-S18-135mm f/3.5-5.6 IS USM. Newly supported EOS M10, PowerShot G9 X, PowerShot G5 X, EOS Kiss X6i / EOS REBEL T4i / EOS 650D, EOS Kiss X5 / EOS REBEL T3i / EOS 600D, EOS Kiss X50 / EOS REBEL T3 / EOS 1100D, and PowerShot SX60 HS. Fixes a malfunction that occurs rarely when “Distortion” is ticked off during the editing of RAW images shot with EOS 8000D / EOS REBEL T6s / EOS 760D or EOS Kiss X8i / EOS REBEL T6i / EOS 750D. Supports EF35mm f/1.4L II USM, EF50mm f/1.8 STM, EF-M15-45mm f/3.5-6.3 IS STM. Supports EOS 5DS, EOS 5DS R.
Supports the camera’s Auto: White priority function in the “White balance” setting. * This application does not function in 32-bit version. Important note for Mac users – the latest versions (3.11.26 onwards) needs a change in install procedure, as outlined in the Mac install section above. – Supports images taken with EOS Kiss X70 / EOS Rebel T5 / EOS 1200D / EOS Hi, EOS M2, PowerShot G1 X Mark II. – Supports OS X 10.9. – Fixes the phenomenon where the shutter speed value and the aperture value indicated for an image displayed in the [Large thumbnail] mode may differ from the actual values if the image has been converted to the JPG or TIFF format from the RAW file (CRW file) format of the EOS D30, EOS D60, EOS KISS DIGITAL / EOS DIGITAL REBEL / EOS 300D DIGITAL or EOS 10D. – Batch process has been changed. – Addition of Digital Lens Optimizer applicable lenses. – A phenomenon in which font settings are sometimes not reflected on print contact sheets has been fixed. – Supports images taken with EOS 70D, EOS Kiss X7 / EOS Rebel SL1 / EOS 100D, PowerShot G16, PowerShot S120. – Supports new lens (EF-S 55-250mm f/4-5.6 IS STM, EF 200-400mm f/4L IS USM Extender 1.4X, EF-M 11-22mm f4-5.6 IS STM). – The accuracy of the white balance in M-RAW and S-RAW images has been improved. – Supports images taken with EOS Kiss X7i / EOS REBEL T5i / EOS 700D, EOS-1D C.
– Supports new lens (EF 35mm F2 IS USM, EF-S 18-55mm F3.5-5.6 IS STM). – Supports OS X 10.8. – The display disorder phenomenon occurring when using retina display has been fixed. – Supports EOS 70D, EOS Kiss X7 / EOS Rebel SL1 / EOS 100D. – Support for EF 200-400mm f/4L IS USM with lens optical correction. Supports images taken with EOS 6D. Supports new lens (EF24-70mm F4L IS USM). Supports images taken with EOS M, PowerShot G15, PowerShot S110, PowerShot SX50 HS. Supports new lens (EF40mm F2.8 STM, EF-M18-55mm F3.5-5.6 IS STM, EF-M22mm F2 STM). Fixed a phenomenon where the camera’s serial number that is displayed in the shooting information of the image is not displayed correctly for some of the EOS 60D. Supports images taken with EOS 5D Mark III, EOS-1D X. The digital lens optimizer function has been added. The multiple image composition and HDR tools have been added. Fixed a phenomenon that occurred when processing RAW images, the original image characteristics could not be obtained. Fixes a malfunction that occurs when using the quick check tool to check a large volume of images. Note – with the Launch of the 5D Mk3 Canon has been publicising the Digital Lens Optimizer in its latest version of the Digital Photo Professional (DPP) software package. Released to coincide with the launch of the Canon EOS 5D III, DPP v3.11 features a new module that Canon says is designed to correct optical issues such as vignetting and curvilinear distortion, but also ‘loss of resolution caused by a low pass filter’. Supports Mac OS X 10.7. If you use the Digital Photo Professional 3.11.1 remote capture function, it is also necessary to download the latest version of EOS Utility. We have discovered a problem in the connection with cameras when using EOS Utility in Mac OS 10.6.8. Please do not use EOS Utility if you use Mac OS 10.6.8. If you use the Digital Photo Professional 3.10.2 remote capture function, it is also necessary to download the latest version of EOS Utility. We have discovered a problem in the connection with cameras when using EOS Utility in Mac OS 10.6.8. Support added for images taken with the EOS Kiss X50 / EOS REBEL T3 / EOS 1100D, EOS Kiss X5 / EOS REBEL T3i / EOS 600D. If using an earlier version, images take with the EOS Kiss X50 / EOS REBEL T3 / EOS 1100D, EOS Kiss X5 / EOS REBEL T3i / EOS 600D will not be supported. Please update to version 3.10 or later. Additional lenses now covered by correction of lens aberration. Including overseas models, images taken with the following six lenses are now covered by lens aberration correction. EF 8-15mm F4L USM Fisheye, EF 15mm F2.8 Fisheye, EF 300mm F2.8 II IS USM, EF 400mm F2.8 II IS USM, EF-S 18-55mm F3.5-5.6 III (an overseas model), EF-S 18-55mm F3.5-5.6 IS II. Distortion aberration correction for images taken with fisheye lenses (EF 8-15mm F4L USM Fisheye, EF 15mm F2.8 Fisheye) enables the user to select four types of effects that are not covered by ordinary distortion correction. Note that depending on the camera used, there are cases where images taken with applicable lenses may not be covered by aberration correction. Added a function for circular masking. The new Circle option can be selected from the Ratio pull-down menu for the Trimming/angle adjustment tool. The behavior differs from when rectangles like 1:1 are selected in that selecting Circle will masking everything outside of the selected area. When performing Noise Reduction processing, there were cases where the screen would momentarily turn magenta. Fixed a malfunction involving PCs on which multiple versions of Photoshop are installed; there were cases where the Transfer to Photoshop command would be dimmed. Fixed a malfunction in which attempting to display NR Preview while the highlight warning was displayed would cause the Preview screen to turn deep blue. Fixed a malfunction that occurred if an image was overwritten by a newer version after a rating had been set; there were cases where the editing results were destroyed and the image reverted back to the settings when it was first taken. Fixed a malfunction wherein white lines would appear in the displayed results if an image was displayed at 100% in the Edit Window or the Edit Image Window and the window was then scrolled. 1. Fixes a problem in which Digital Photo Professional shuts down abnormally when viewing the shooting information of specific images (*). It also fixes a problem in Digital Photo Professional that errors occur and prevent the process of converting and saving specific RAW images from being completed. *: Images taken with the EOS-1D Mark IV for which either C.Fn I-16 AE Microadjustment or C.Fn I-17 FE Microadjustment is set to “Enable” and if AE Microadjustment or FE Microadjustment has a negative value. 2. Fixes a problem in Digital Photo Professional 3.9.1/3.9.2 in which “0” cannot be input if the numerical keypad in the tool palette of Edit Window and Edit Image Window is not used. 2. Adds an Unsharp Mask function. 4. Changes made to the screen layout accompanied by an improvement in the image classification function. 5. Supports EF70-300mm f/4-5.6L IS USM in lens aberration correction. 6. Supports the lens aberration correction function even when Extender EF1.4 x III and Extender EF2 x III are mounted to a supported lens. 7. Fixes a malfunction where the software terminates abnormally when editing multiple images (Mac only). When multiple images (approx. several hundred images) are in the Edit Image Window, there are cases where DPP terminates abnormally. This malfunction is fixed in v3.9.0. 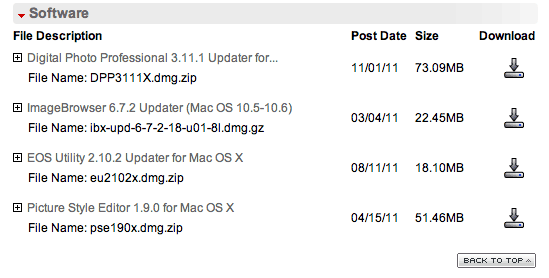 DPP3.8.2 (3.8.1 Win) is spotted on the 7D software download page. Fixes a malfunction wherein the trimming ratio is entered abnormally when it is set to Custom using the trimming/angle adjustment tool, and also when the trimming area is copied to other images. 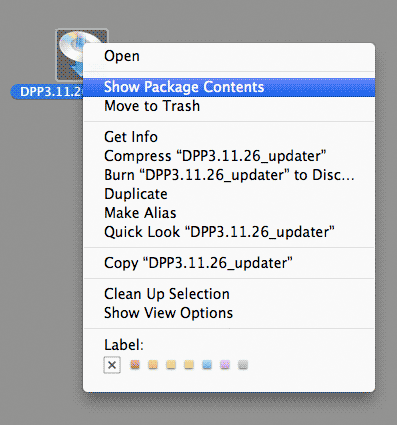 DPP 3.8.1 for Mac (V3.8.0 Win) [Canon] – read notes anbout unsupported cameras first. Supports additional models: The EOS Kiss X4 / EOS REBEL T2i / EOS 550D is now supported. Adds a lens that supports the aberration correction function. EF 70-200mm f/2.8L IS II USM is newly supported. Adds a function for adjusting the angle of an image to the Trimming tool. Bug Fixes: In Digital Photo Professional v3.5 or later, if handling RAW images of EOS-1D/1Ds, and the number of RAW images exceed the certain point, the application operates abnormally. This problem has been fixed. Before, when quitting Digital Photo Professional, all images in the [Collection] window were removed from the [Collection] window; however, this has been improved so that the images in the [Collection] window can now be maintained. This updater fixes a problem that an error occurs when Digital Photo Professional 3.6.2 is installed in specific environments. *No corrections are made to the actual software itself. Also, users who do not encounter any problems when using Digital Photo Professional 3.6.2, this update is not necessary. The shooting date/time in Exif information is displayed one hour ahead when RAW images taken with EOS cameras are developed to create JPEG files using a Macintosh computer in the Daylight Saving Time setting. This problem is corrected by this updater. Now supports the EOS Kiss X3 / EOS REBEL T1i / EOS 500D and PowerShot SX1 IS.2. Adds an adjustment function to RAW adjustment for shaded and highlighted parts.3. Adds the lenses that support the aberration correction function. DPP 3.6 manual available at the following address. The manual contains the list of lenses for which aberration correction is supported. Corrected a phenomenon in which a problem may occur with Digital Photo Professional-linked functions in EOS Utility 3.6.10. – Fixes a phenomenon where during remote shooting, there are instances where images cannot be properly recorded. *.NET Framework is Microsoft software. It is installed together with EOS Utility. – EOS Utility 3.0 and EOS Utility 2.14 can be simultaneously installed to one computer. – When any model other than EOS-1D X, EOS-1D C, EOS 5D Mark III, EOS 6D is connected, EOS Utility 2.14 will be started. – To download a GPS log file using EOS Utility, use a Map Utility of version 1.4 or higher in combination. – To download a GPS log file using EOS Utility, use a Map Utility of version 1.5.2 or higher in combination. If you are using a version earlier than Mac OS X 10.6.8, please use EOS Utility 2.10.2. EOS Utility cannot be used with WFT on computers running Mac OS X 10.6.8 to 10.7.2.